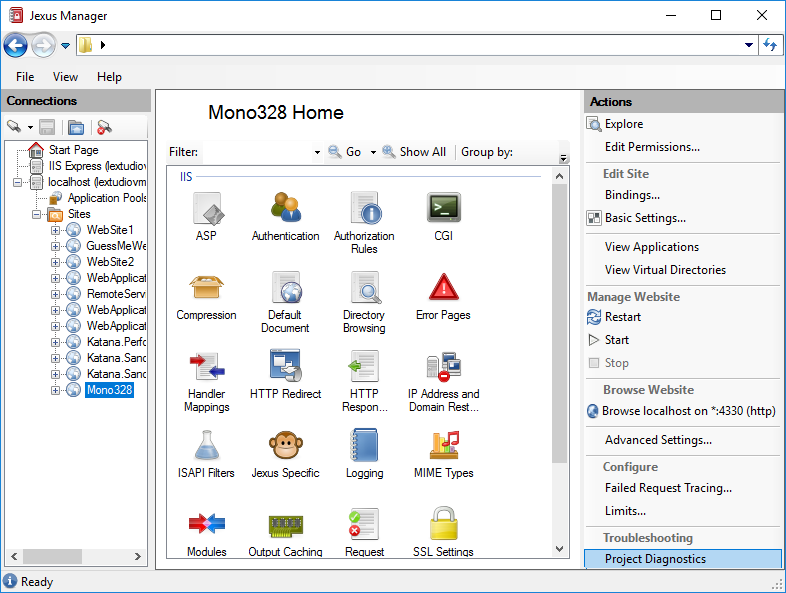 This page shows you how to use Visual Studio Project Diagnostics. Visual Studio web projects contain some IIS settings, while VS also writes some settings directly to IIS/IIS Express configuration files. Sometimes such settings go out of sync and you simply hit the famous errors such as “Unable to launch the IIS Express Web server”. 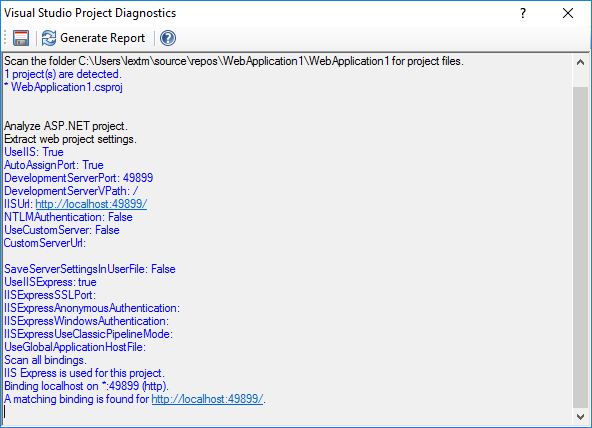 For web sites opened in Jexus Manager, there is an action called Project Diagnostics showed. Visual Studio project type, ASP.NET 4.x or ASP.NET Core. Different files that control the settings. IIS/IIS Express related settings are extracted and displayed for reference. Automatic error detection to locate typical out-of-sync issues.